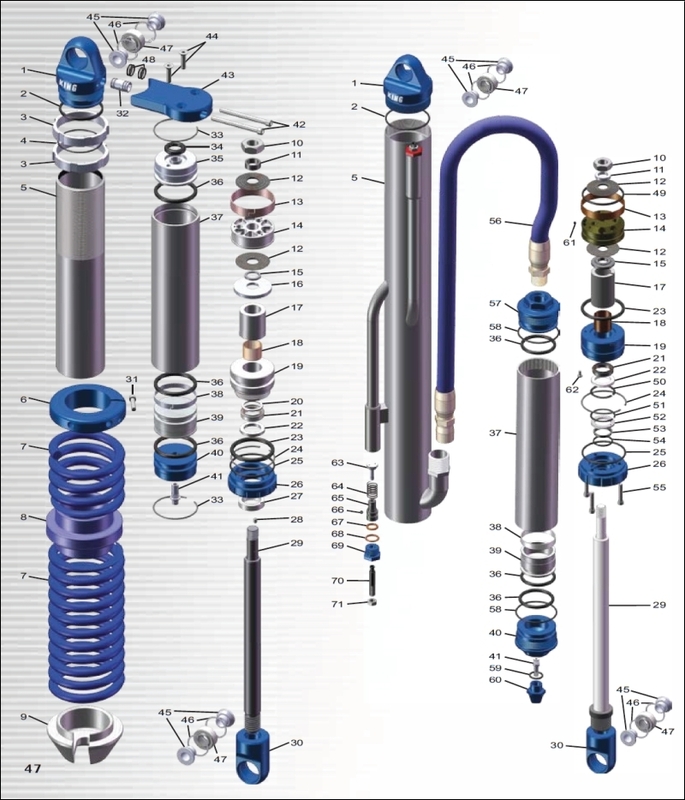 King shocks are designed and built to take all of the off-road racing abuse you can throw at them, but even the best shocks will eventually wear out over time. By design, all King shocks are very easy to service, tune, and rebuild with only very basic hand tools. All it takes is a little bit of time and the proper replacement King parts and even the most severely abused King shocks will be like new again. If, however, you would rather not do the work yourself, you can always send your shocks to Filthy Motorsports and they will have them serviced and on their way back to you within one business day.